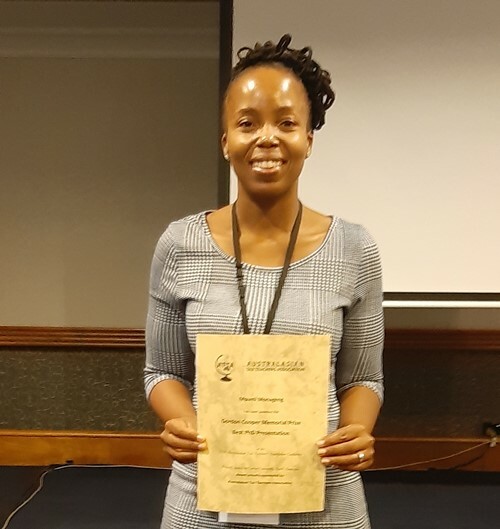 Ms Monageng researched the effect of reciprocity and social norm nudges on tax compliance. She explains that the winning presentation mainly focused on the background of the study, the research methodology applied and the results from a pilot test conducted on one of the two research methods applied in her study. “The ATTA conference was a great opportunity to meet established researchers and fellow PhD students. I received valuable feedback and ideas about my research. I also had the opportunity to attend other researchers’ presentations to get a better understanding of current topical research areas in my field,” she says. She adds that she formed valuable networks with established researchers in the area of tax compliance with whom she plans to collaborate with in the near future. First hosted in 1989, the ATTA conference provides an environment for tax academics, as well as industry and government professionals, to share research, develop teaching practice and promote network opportunities to advance the discipline.